Q. How does this guide help me as a real estate professional? A. This on line guide is an excellent source of information that saves time by condensing the most pertinent condominium building details on one page. This guide saves you time by not having to "weed out" bits and pieces of information from your multiple listing service or public records. An excellent benefit with your mobile devices is the ability to access pages while showing property, such as when you need an on-site number. Additionally, from some smart phones (Androids) you can simply tap on the desired building location, scroll down to "management", tap on the appropriate phone number for either the HOA management or on-site front desk and place your call! 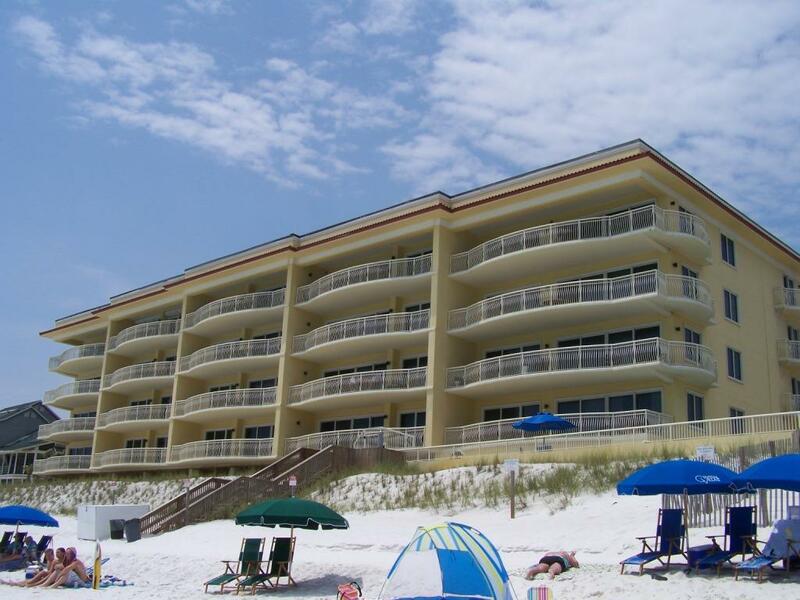 Whether you are new to the area, have an assistant or team, unfamiliar with the local resort condominiums along the Emerald Coast or an expert - you will find this guide quite valuable and a great time saver. Q. How does this guide help me as a broker, team leader or head of an organization? A. Since 2002 The Beachwalker Condominium Guide has been an excellent resource for a variety of real estate professionals including appraisal companies. Whether your agents are familiar with the local condominium properties or not at all - it is quite likely they will find the information provided extremely useful and convenient. From an out-of-town appraiser to a local real estate assistant, this web based guide will save time. To a great extent it can eliminate the need for additional phone calls, searching the web or looking through mulitiple sources of information to get answers. A. As a Premium Subscriber you are free to copy the property photos for purposes of placing into the MLS system! Many times agents will take a new listing but cannot immediately get access to the unit. We all know how important it is to upload at least one photo (preferably of the building or view) the minute it is first entered into the MLS. If the weather is bad or you can't get access to the unit, it's no problem. You have a building photo on hand to upload when the listing goes live on the MLS. Important Note: The use of photos is allowed for premium members only! A. The premium feature allows you to view "Comparable Buildings" within pre-determined proximities from the subject building. Up to three comparable buildings will appear within each radius of 1/2 mile, 2 mile, 5 mile and AREA by clicking on the appropriate links. The viewer can then click on those results if desired and view that buildings main page. Q. What is in this guide that I cannot get from the MLS? A. Plenty! And it will help you find them on one page vs. searching through listings to get a simple answer. Why waste time reading through old listings?! This was a main reason for creating the guide in 2002! (See below for features). For instance, many listings do not have a building photo taken from the beach and or entrance - some do, most do not. The MLS does not always show you a photo of each building and rarely from both the beach and entrance. This is a great way to see how the building sits and it instantly answers many questions such as; do the majority of first or second floor units have a view of beach, is there easy beach access, how is the elevation and what is the buildings aesthetic appeal as seen from the beach and entrance? Since the MLS is a compilation of individual contributors (listing agents) it does not provide the consistency you will find in The Beachwalker Condominium Guide. Q. What are the main features? Q. Is there a phone app available? A. There may be an app available in the near future but the current web site is designed to be extremely easy for navigating on your smart phone or pad. You can access the building location pages of your choice and easily increase the size of menu options and or photo images to view buildings in great detail. Last, but definitely not least, you can scroll down to the HOA/on-site desk phone numbers. With some smart phones such as an android you can simply tap on the number and make the call. If, for instance, you are out showing property and you don't have the number to the front desk of a certain property. Perhaps you need to check availability of a unit or ask the HOA management a question. You can just tap on the desired area, tap on the property name to view the page then scroll down for the number. Or depending on your phone, such as with an Android phone, you can tap on the number and get connected!! Q. How does this guide help others? A. In addition to being a great tool for real estate professionals including the appraisal professions, this guide can be extremely useful for lenders, home inspection companies, insurance agencies, title companies, rental agencies and even maintenance/cleaning contractors, travel agencies and education.